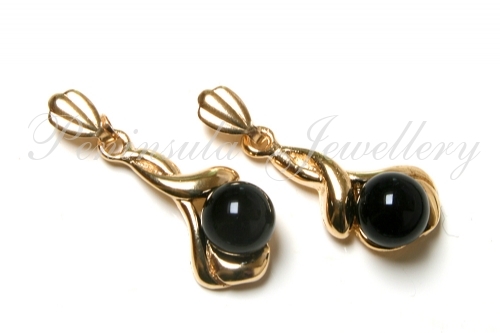 Pretty drop earrings with 5mm natural Black Onyx in the centre. Standard 9ct gold posts and backs. These are real 9ct gold (NOT plated, rolled or filled gold) and are marked 375. 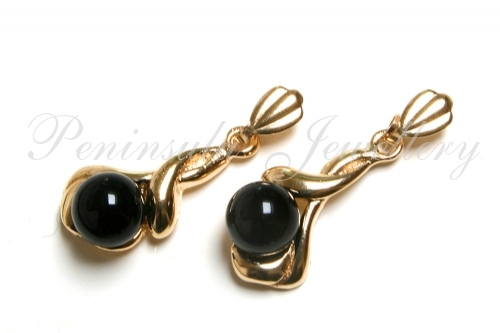 Dimensions: 20mm long, 7mm wide (approximately). Supplied in a luxury gift box. Made in England.